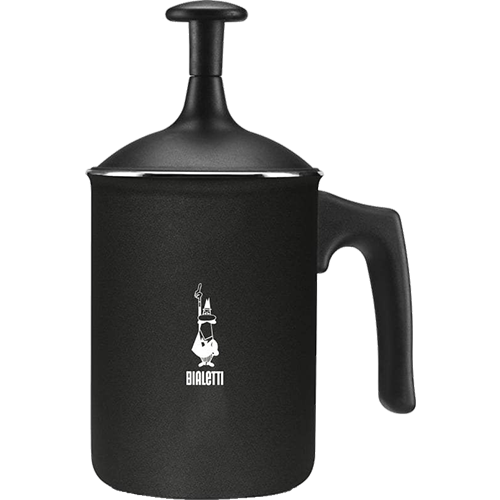 Bialetti Tuttocrema milk frother black 3 cups gives you frothed milk for about 3 cups of cappuccino or 1-2 cups of latte. Place the pot with the milk directly on the stove, then as the frother has two nets it produces an extra-thick foam. Teflon coating makes it easy to clean.